The Nationalization of Aerolíneas Argentinas and Austral: Will the Government Set Them Straight? After months of delays in scheduled flights, thousands of stranded tourists, broken down planes and conflicts with the unions who represent their nearly 9,000 workers, Aerolíneas Argentinas and its subsidiary Austral are once again run by the Argentine government. For 18 years, Argentina’s flagship airline was in private hands. Its last private owner, Spain’s Marsans tourism group, agreed with the government of Cristina Fernández de Kirchner to transfer 94.6% of its shares after having spent seven years at the helm of its operations. The Argentine government, which already owned 5% of the company’s shares, and Marsans have not agreed about whether the combined debt of the airlines is $890 million but the Argentine Association of Airline Pilots has confirmed that the companies could be losing about $1 million a day. Actually, before Marsans decided to leave Argentina, the government of Cristina Kirchner had to pay some $14 million in back salaries to employees, as well as cover unpaid bills for fuel, rental fees for airplanes and replacement parts. At the height of Argentina’s winter vacation season, Aerolíneas Argentinas and Austral have been plagued by a rash of over-sold flights and flight delays caused by a shortage of usable airplanes. Meanwhile, the Argentine government, which took control of operations on July 21, decided to send the airline nationalization plan to the country’s Congress so that it could approve the transfer of ownership. Within two months, an auditing process will establish the real value of the company, evaluate its equipment and other assets, and assess how both airlines are functioning. Other factors also helped determine the departure of the Spanish company, according to Gustavo Martínez Pandiani, dean of the department of educational sciences and social communication at the University of Salvador (USAL). “When a company is in crisis, there are always several causes. On the one hand, it is obvious that the Marsans group didn’t know how to manage the company correctly. But it is also clear that most airlines are experiencing hard times. For example, Alitalia is going through similar conflicts.” The Italian airline, which is in the process of being privatized, has been in a delicate financial condition while it looks for a buyer. Aerolíneas Argentinas was created in 1950, and privatized during the 1990s under the leadership of President Carlos Menem, along with other state-owned companies such as the YPF oil company, and public utilities that supply water and electricity. The decision of the government of Cristina Kirchner to take control of the flagship airline adds to the wave of nationalizations that the current president inherited from her husband Nestor, who governed Argentina before she took office. Correo Argentino (the Argentine postal service), Thales Spectrum (which controls the Argentine radio-and electronics sector), Aguas Argentinas (the water utility), Transener, the energy transportation company, and the railroads have been returned to government control. Most of these firms were in foreign hands. Likewise, last February, the Grupo Petersen purchased a 14.9% ownership in Repsol YPF, the Spanish-Argentine company, for about $2.2 billion. Petersen belongs to Enrique Eskenazi, a businessman very close to the Kirchners. Eskenazi owns businesses in the construction sector as well as banks in Santa Cruz (the province where Nestor Kirchner was born), San Juan, and Santa Fe. The Banco Santa Cruz administered the famous $600 million that the province of Kirchner took to Switzerland when the economic crisis broke out in 2001. In any case, Pandiani does not believe that the Kirchner government has a large scale nationalization strategy. “On the contrary, the re-nationalizations have been few, and in very diverse activities such as the postal service and water utility. As a result, I don’t think you can talk about a ‘trend.’” The experts say, in contrast, that the policy of Venezuelan president Hugo Chávez is indeed worrisome because it involves putting pressure on private companies. Recently, Techint, an Argentine company that invested in Venezuela, was forced by that country’s government to withdraw from the steel market. The process of selling companies to the state in Argentina and Venezuela “may be occurring at the same time but Argentina’s relationship with Spain is good, and I don’t believe that the conditions are similar,” argues Enrique Déntice. In addition, unlike Sidor in Venezuela, which ran a steel business that was strategic for the Venezuelan economy, “Argentina is taking over a company that is facing serious economy problems in its operations and its labor relations,” warns Pandiani. Aerolíneas Argentinas and Austral are not the first airline companies under the control of the Kirchner couple. In 2003, a company known as LAFSA (Federal Airlines) was created in order to absorb the employees of two other troubled companies: Lapa and Dinar. However, from that point on, the company generated only expenses and never actually took off. 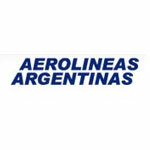 Aerolíneas Argentinas and Austral airlines jointly provide 80% of Argentina’s domestic flights. Of the 67 airplanes that comprise their fleet, more than 50% are immobilized by technical problems. Its 9,000 employees are represented by six unions who fight separately for their workers’ rights, and have carried out various work stoppages in recent years. Their combined debt exceeds $890 million, and no one knows for sure if it is safe to fly with these two companies. In her speech that officially announced the takeover of the airlines by the government, Cristina Kirchner stated, “This is a service, and the goal must be to bring back users; to bring back customers … by providing airplanes that depart and arrive on time.” It remains to be seen if this goal can be achieved during the coming months.